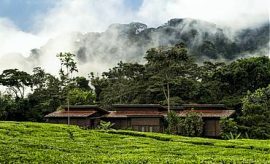 Best Time & Weather To Travel To Nyungwe? 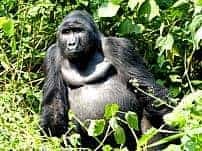 Scroll Down For Details..
Nyungwe National Park has a pleasant climate that makes it perfect for a hiking safari vacation in Rwanda during the dry season. Since its forests lie at heights of 1600 to 2000 meters above sea level, it has a cool, temperate climate that visitors generally find pleasant. Mirroring most of Rwanda, its higher altitude, coupled with a latitude just two degrees south of the equator, makes for particularly comfortable tropical conditions. Daytime high temperatures typically range between 25C and 27C (77F to 81F) degrees, while the nights are cooler and temperatures typically hover around a minimum of 13.5C (56F), and rarely higher than 16C (61F). To ward off any evening chill, your AfricanMecca tour planner will advise you to pack some warm clothing. With similar climatic patterns in other wilderness parks of Rwanda, the reserve also has two dry seasons and two wet seasons. 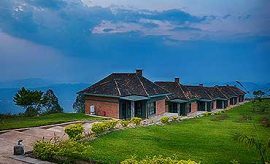 The best months to visit Nyungwe is during the long dry season that lasts from June to September or during the short dry season from mid-December to mid-February. You can expect some showers during the short season, as it falls in between the two rainy seasons. 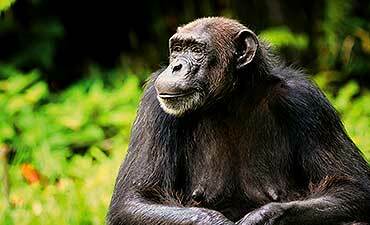 If your travel plans fall within these months, we recommend you go on a chimpanzee trek tour. You will find that the ground is dry underfoot and it is easier to follow the distinct trails through the undergrowth. The low possibility of rain also ensures that you are not likely to get wet. Note that chimpanzees could wander deeper into the jungle looking for food during this season, so locating them may take longer. 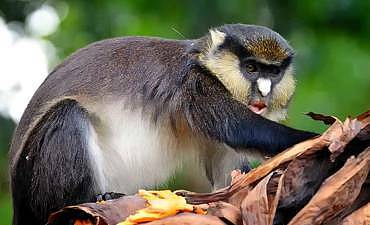 Planning to visit during the wet seasons from February to May, when the long rains fall, or from October to mid-December, during the short rains, may make it easier to locate the primates; however, treks are often challenging due to wet mud and overgrowth. 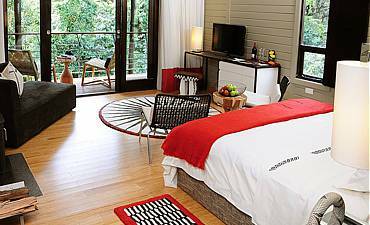 To view the other woodland fauna, it is ideal to holiday in the dry safari season. The foliage is sparser, making it easier to spot birds and smaller life traversing through the undergrowth. You are also likely to encounter fewer mosquitoes. The spurt of new vegetation gives Nyungwe Forest National Park an unimaginable beauty during the wet seasons, with flowers and especially orchids blooming. You might even find it easier at this time to spot the 120 species of butterflies that flutter around the park. As in other areas of Rwanda, the dry seasons see an increase in visitors to the reserve. June through September are typically summer months in the northern regions of North America and Europe, and families with older children like to visit the continent of Africa for their summer vacation trips. These are also the months least likely to see rain. The latter two weeks of December and first two weeks of January, when northern hemisphere visitors are enjoying festive holidays, are also popular, as Rwanda’s warm climate provides respite from winter.